Daytime events will be held in Kimbrough Music Building and Bryan Hall Theatre. Festival concert will be held in Kimbrough Concert Hall at 3:30pm. 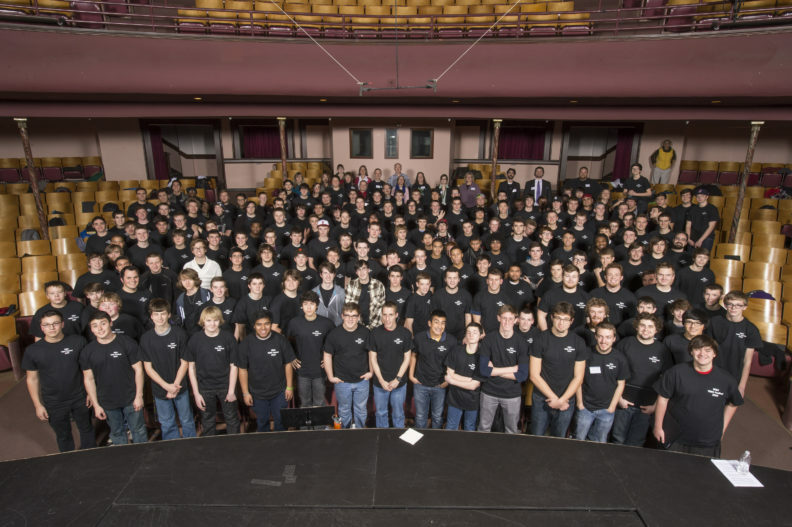 Every year WSU’s School of Music invites young tenors and basses from high schools and middle schools throughout the state to participate in a day filled with rehearsals, materclasses, and performances. The culmination of this day is a short and informal performance on three pieces the festival choir has rehearsed throughout the day. This year’s pieces include: “Man of La Mancha” arranged by Kirby Shaw, “Chickens in the Garden” arranged by Stephen Hatfield, and “Who Are the Brave” by Joseph Martin. This year is the biggest yet and WSU is proud to welcome 25 schools and 317 young singers for the event. Details of the day’s schedule can be found at Young Men in Song.